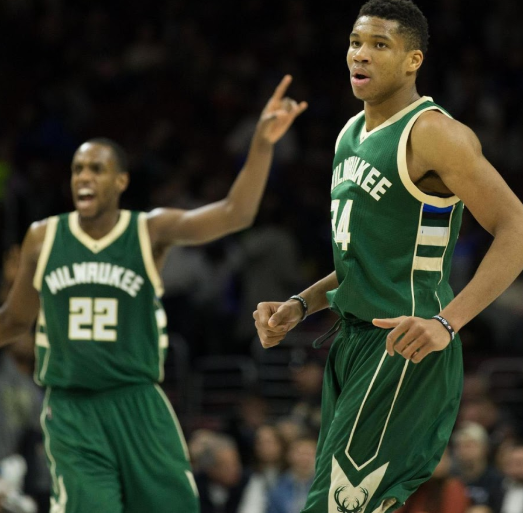 Don’t get me wrong – the Milwaukee Bucks were a good team for the past couple of years. With their superstar forward Giannis Antetokounmpo, they were good enough to make the playoffs as a low seeded team but that was about it. However, it’s been a whole new scene up in Milwaukee this year with the arrival of their new head coach Mike Budenholzer. The Bucks were one of the worst three point shooting team last year in the league (27th in 3PM/G, 22nd in 3P%) but has improved dramatically in this area this season (1st in 3PM/G, 7th in 3P%). With such changes and the Greek Freak’s MVP level performance, the Bucks are aiming to receive a high seed in the East and make a deep playoff run this year. The best team in the East last year (the Raptors) did not spend their offseason quietly—they brought in one of the best players in the NBA in Kawhi Leonard by giving up DeMar Derozan and also signing Nick Nurse, the new head coach. The upgrade aimed to improve the Raptors’ playoff performance, and the result of the moves is already showing. The Raptors have the best record in the NBA with 20-4 and seem to be on their way to the NBA Finals for the first time in franchise history. The biggest homework for the Raptors next offseason will be re-signing Kawhi Leonard to a long term deal. Prior to the season, many experts and fans picked the Celtics to be the team to have the best chance against the Warriors in the NBA finals with the return of their two star players, Kyrie Irving and Gordon Hayward. It has also been a tough beginning of the season for the Celtics as they are currently the 6th seed in the East with a 13-10 record. Their defense is still performing at a high level but the offense with the comeback of some players is not as productive as last year. The Celtics certainly do need to figure out some things moving forward to live up to the hype surrounding them. The Lakers signed Lebron while the Clippers kept moving in their rebuilding process. Who would have thought the Clippers to be not only better than the Lakers but also the best team in the West? The Clippers do not have a single All-star on their roster, but has one of the best lineup depth in the NBA. Danilo Gallinari and Tobias Harris are leading the team in scoring while young players Montrezl Harrell and Shai Gilgeous-Alexander are stepping up to provide valuable minutes. The future is bright in LA as the Clippers are built for success in the coming years with a great salary cap situation.